After graduating from DHS, I had no idea what I wanted to do and someone suggested a computer related field. So, I decided to enroll at the IBM Institute of Information Sciences in Southfield. After completing a one year curriculum, I was selected for an entry level I/T position at Ford Motor Company's Corporate Computer Center.....on midnights working for Dynex Associates, a Dallas, Texas company. After 1 1/2 years, I was hired by Ford Motor Company which turned out to be a great opportunity. After a couple years with Ford, I resigned (1974) for a better opportunity with Advance Mortgage in Southfield and subsequently Citicorp N.A. in New York. I didn't care for life in New York so I returned to Ford Motor Company in 1978. I was counselled to return to college to obtain a degree so I enrolled at Oakland University and Madonna College and graduated years later with a BA Information Technology/Business Management. I spent the remaining 25 years working in various technical and management positions at Ford and travelled the world until retiring in 2006, 30 years to the day! Thanks to my career with Ford Motor Company, we have been fortunate to have worked/lived in Sao Paulo, Brasil/ Mexico City, Mexico/ Koln, Germany/ Valencia, Spain as well as many of the major U.S. cities. During my years at Ford, I took up a home construction as a hobby and built my first home in West Bloomfield in 1974. I then built a home in Hartland, on the beach in Harrisville, Mi. and on the beach in Ridgetown, Ont. We then designed and built a villa on the island of Bequia and then renovated an estate on the island of St. Croix in the Virgin Islands. After retiring in 2006, we sold our home in Hartland, Michigan and our beach house in Ridgetown, Ont., Canada and moved to our newly built villa on the island of Bequia, St. Vincent and the Grenadines. We had spent nearly 5 years designing, purchasing materials, and building the home on Bequia and it was our dream to move to the Caribbean. Done! While living on Bequia, I started a company that planned and managed the construction of high-end villas for foreign owners. In 2009, we sold our villa on Bequia and not ready to move back to the States, purchased an old estate on St. Croix in the U.S. Virgin Islands. We spent 6 years restoring the 3 homes and pool and in late 2014, sold the estate. My beautiful wife of 34 years, a retired Paralegal, and I are now living in downtown Greenville, South Carolina. In our 'spare' time, we travel internationally and spend as much time as possible at our historic home in our adopted country of Uruguay. We have been very fortunate over the years to have met many wonderful people in many fantastic locations around the globe. We are truly blessed and do not want the moss to grow under our feet! Daniel Bourdganis has a birthday today. 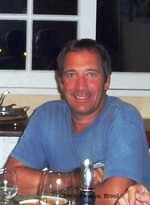 Daniel Bourdganis updated his profile. View. Daniel Bourdganis added a photo to his profile gallery. New comment added.